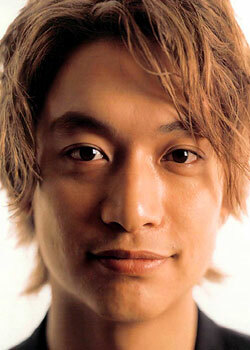 Former Member of J-pop group SMAP. Hend Sep 02 2015 6:43 am I Admire you Shingo Katori .. and i love your acting ..
tensai420 Jun 27 2013 2:52 pm what a superb actor , i think he is a better actor than singer !! daysgoneby Sep 29 2012 12:25 am one of my favorite actors. his performance in "flower shop without rose" is a CLASSIC masterpiece. a must watch! Anjerasan Sep 19 2011 8:20 am Shingo is a versatile artiste. He can act, dance, sing.... Admire him very much..... hope he shines forever. dodo Oct 31 2009 11:08 am Shingo you were amazing ,adorable ,unbelievable in flower shop without a rose I realy loved your acting and I still do.